Welcome back to Scavenger Hunt Sunday. Yesterday was Felicity’s first birthday…and today we are celebrating with some of our closest friends and family. The house is decorated and I will spend most of the day preparing food. I already made some brownies from a photo share thingie I saw on Facebook…and they are delicious. For those of you who really know me, you know I’m not all that domestic. But, I think that in Felicity’s second year of life, I’m going to learn a thing or two. But enough of that. I’ll have photos of the party to share sometime this week. Until then, let’s get back to the hunt. For those of you who didn’t participate this week, but want to participate next week…next week’s list is sponsored by Danelle of Mom Outnumbered. I hope these prompts inspire you! 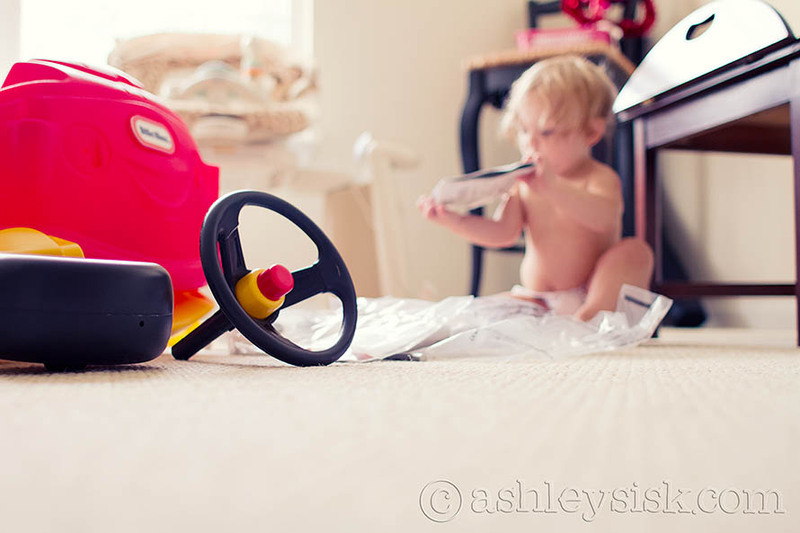 Felicity received a cozy coupe for her birthday. She loves it (minus the missing decals – if you know where I can find replacements, let me know). Before her daddy put it together, she made sure that all the parts and tools were there. 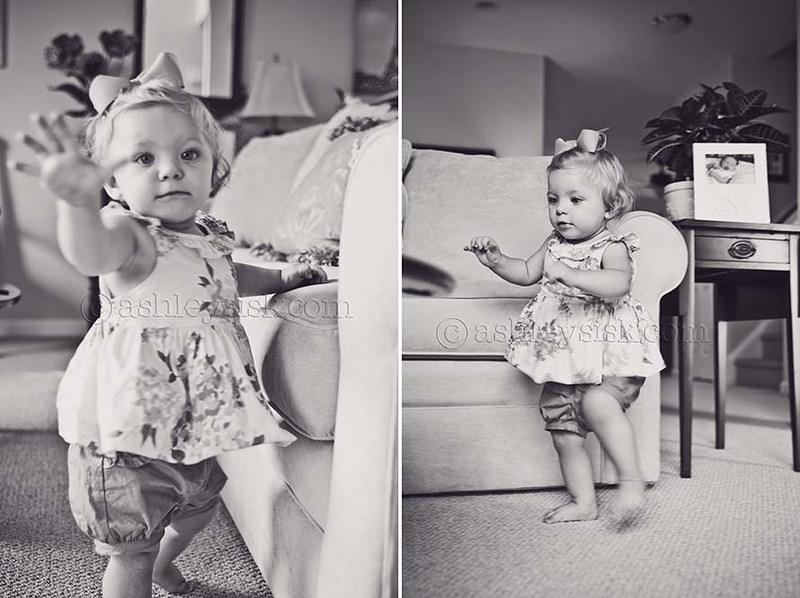 Last Sunday, I mentioned that Felicity took her first steps. Well this week, she has been walking a whole lot more. I wanted to be sure I caught her in action for this week’s prompt. 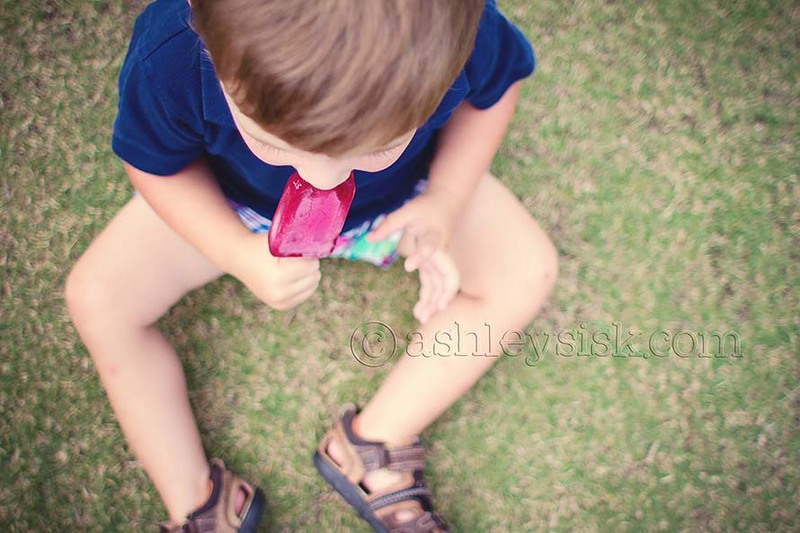 On Monday, we met up with our friends Zan and Jessica (his mom) for a summer portrait session at the park. At the end of our session, Zan’s mom bought him a popsicle. I’m sure it was tasty and delicious…and of course, very sweet. I would have had one myself, but it’s rather difficult to shoot, tend to your baby and eat a yummy popsicle. 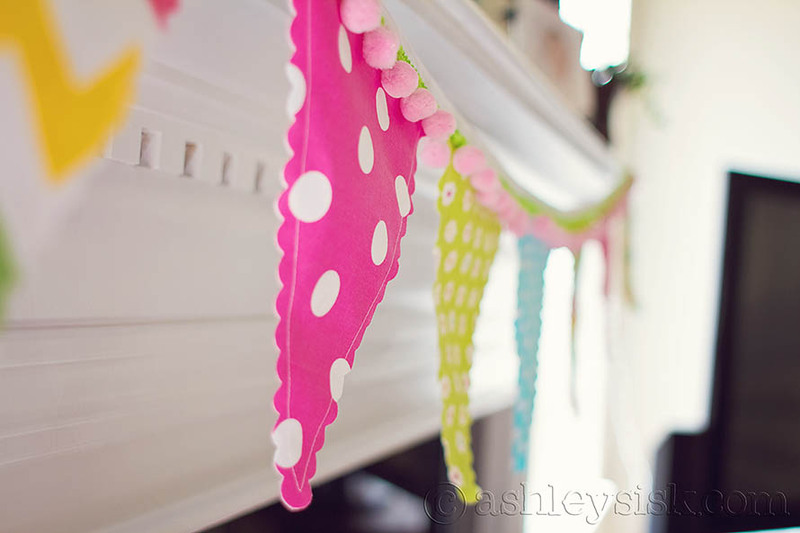 Felicity’s birthday party is all about polka dots, so I have them everywhere. These particular dots can be found on the banner I have on the fireplace. I’m going to reuse it for her “cake smash” session…if I do it. In addition to polka dots, I do have a few stripes floating around the party. 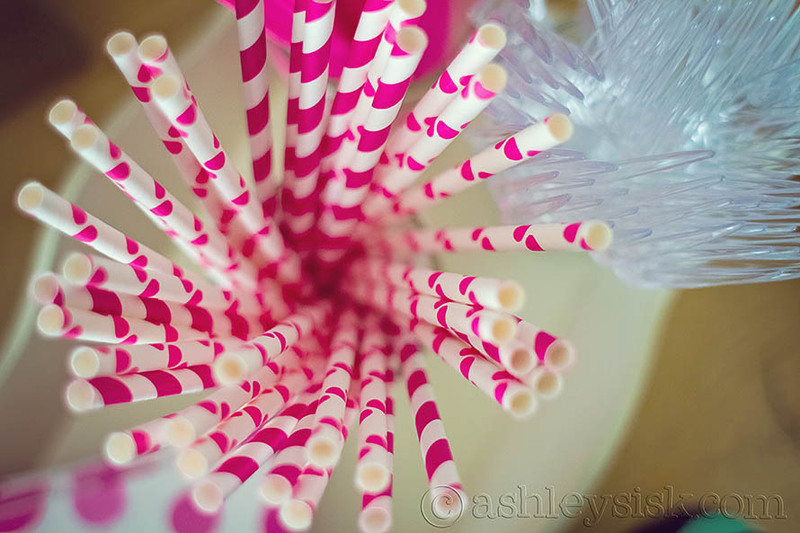 These stripes can be found among the paper straws. So, what were your interpretations of the items this week? Be sure to load your pictures on your blog (or your Flickr photostream) and link up at the bottom of this post. Feel free to grab a button to display on your blog along with your scavenger hunt items. The linky will be open until Tuesday night at midnight (EST). If you didn’t participate this week, but want to participate next week, the items below are sponsored by Danelle of Mom Outnumbered.